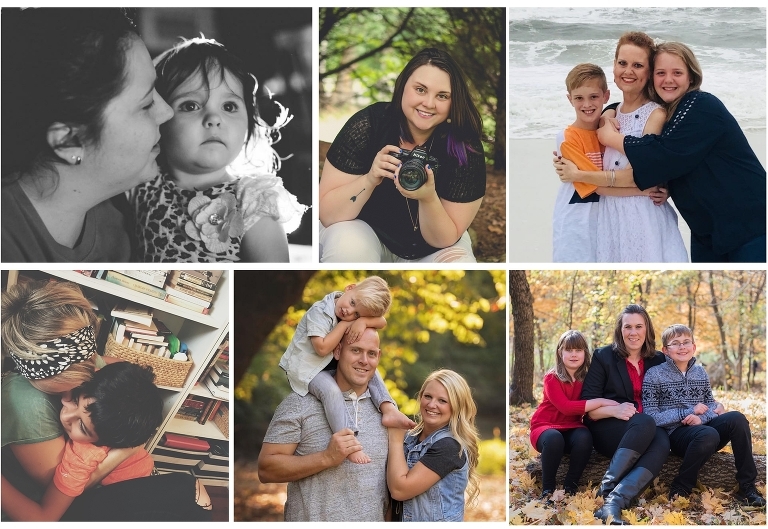 We’ve seen the blog articles flying around social media urging us moms to “get in the photo”. It’s important! It is. You do need to be a visual part of your family’s history. So we’ve established that we need to do it. It’s vital for us and our children. We’ve also acknowledged that it’s hard for multiple reasons. Those reasons are really only excuses. We don’t always like the way we look in photos, we want to lose a few pounds before we make it happen, we don’t like our clothes, makeup, hair, we are not artsy enough to do it or can’t take a good photo, or it’s just too much work. So, see there, we’ve covered all the excuses and gotten those out of the way. However, we’ve also decided that regardless of ALL THOSE EXCUSES, we ARE going to do it. Yes. We are going to get in the photo. But how?! How do us normal busy moms make that happen? Maybe we don’t feel artsy or majorly skilled with a fancy camera and we don’t know all the secrets of the pros. Well, friend, I’ve got you covered! I’ve asked several of my photographer friends to help me out. We all have the same struggles with getting in the photo, but we are going to let you in on some of our simple secret tricks. 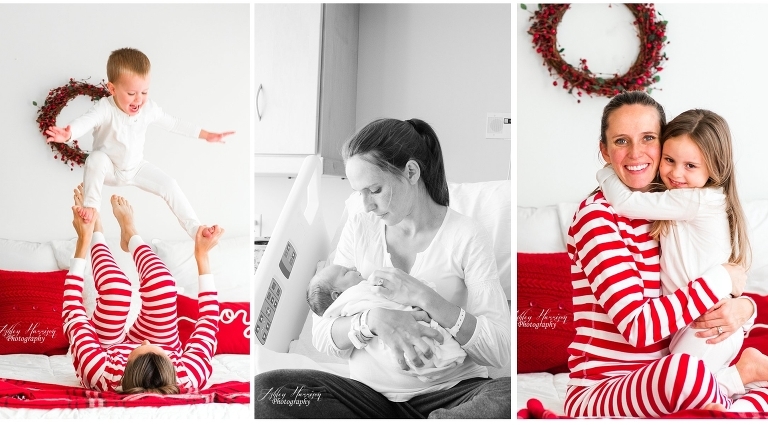 Here are 6 Ways for Mom to Get in the Photo. 1. YOU’VE JUST GOT TO ASK. This is probably the easiest one because it takes little effort. Ask someone around you at the restaurant, ask your partner, ask a friend. I’m sure there’s another mom around you that understands and would love to take the photo. Better yet, be the person who asks other moms “Do you want me to take a photo with you in it?” I do that all the time and they always say “yes!”. There was an article that I read recently that had a message to husbands asking them to take photos of us moms. I loved it. But here’s one thing that you need to realize. You have to remind them and always ask. Many husbands just aren’t like us who constantly feel the need to take photos. And why should they…we’ve always got that part covered! So a gentle reminder or request when you want it doesn’t hurt. Whether you have a fancy camera or not, most of them have a self-timer. Find a spot in your house that has great light and have some fun. There comes a time, when you just have to do what you have to do to make it happen. Don’t be ashamed of the selfie stick. I’m not and honestly, the angle you get from a selfie stick is usually pretty flattering. I also have a small tripod for my cell phone and a cheap little Bluetooth remote that I use. It’s that simple. You can also snag a very inexpensive remote for you fancy camera too. That’s what Cyrissa, of Immerse Photography, did. 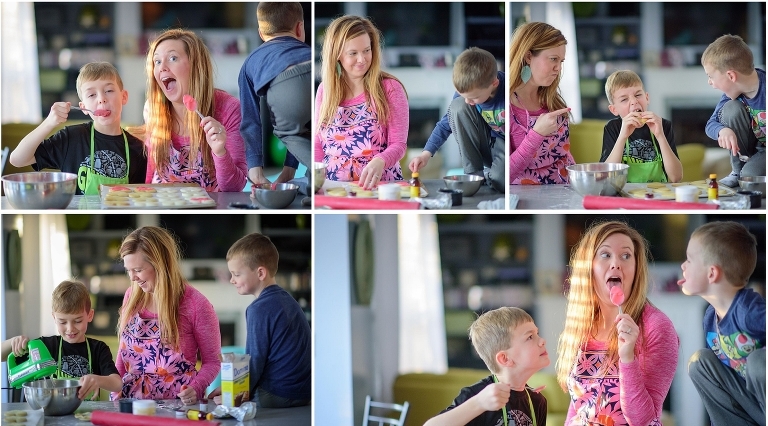 She planned something fun for her boys, set up her camera on a tripod, and held a remote. They posed, but she also caught some more candid moments too. And Kelly, of Lifetime of Clicks Photography, used her remote on Christmas morning. If you look closely, you can even see it, but you know, that’s ok! She was getting in the photo and that’s what matters. Bethany, of Bethany Green Photography, tapes her phone to the ceiling. Yes, you read that correctly. She gets some amazing photos. To get in the photo, all she uses is her iPhone! C’mon! See, no excuses! Plan to do this once a month or so and make it a game. You’ll have the memories and your children will love it too. I do this all the time. Yes, it’s a little extra on ticket price, but it’s worth it. You can have fun with it too…especially if you go on a Disney trip. I make sure to set the expectation with my family that we are going to take lots of photos when I buy it. I usually try to stop at most of the photographers around the park. I wanted to make it fun, so we didn’t just pose formally each time either, we tried to make it more creative. It’s an expense you won’t regret. I even did it at Dollywood this year. This year for Christmas, I tried something different and now I’m addicted. I have always regretted not being in the photos on Christmas morning. I snap tons of my kids, but I’m never in one. Never. Well, this year was different. Some cameras have an interval timer, but mine does not. So I invested $14 in one for Christmas day. I set it up to take a photo every 10 seconds. It was FANTASTIC! The morning was documented. I was able to be in the moment and in the photo. It was perfect. There is even a little beep that happens right before it snaps a photo (you can turn it off if needed), so I told everyone to look and smile for this photo.